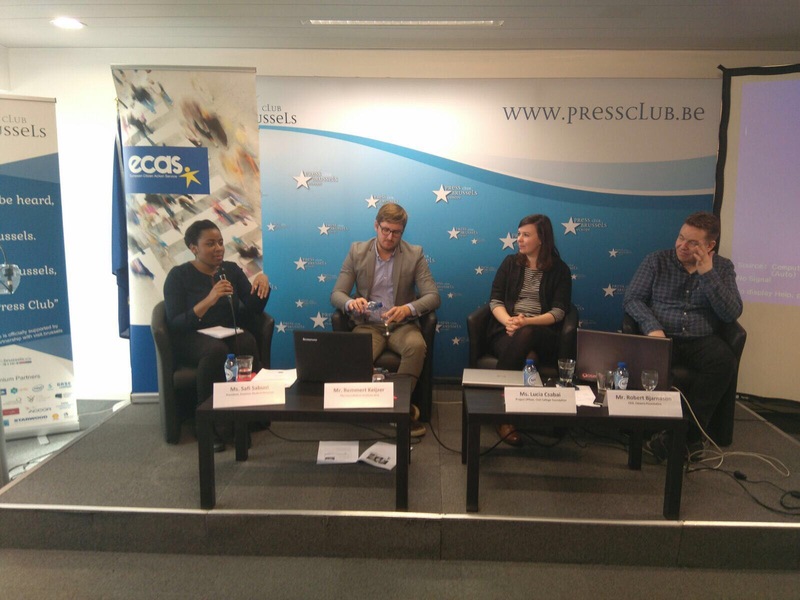 The DEEP-linking youth’s Digital Dashboard Launch event took place on 22 March in Brussels. It was a public event where participants were invited to test out the Digital Dashboard and discover what it is capturing in the digital space. The Digital Dashboard is an e-platform built to listen and understand what opinions young people are voicing online. The platform is being tested on a specific issue: youth mobility programmes in Europe, mainly the Erasmus programme. The goal is to monitor online voices to understand how young people’s opinions can feed into EU policy-making. The event included two panel discussions and two brainstorming sessions aimed at collecting ideas from the participants. In the first panel, the speakers addressed the issue of youth engagement and disengagement in policy-making and the brainstorming session explored how young people’s ideas are taken in consideration in EU policy-making. The second panel was specifically on the creation and purpose of Digital Dashboard, where participants had a chance to see how the platform was built, test it out and give their feedback on it. For more information, the report of the event can be found HERE. The Digital Dashboard can be found HERE.